Chen Rachana is ten years old and studies in the third grade. 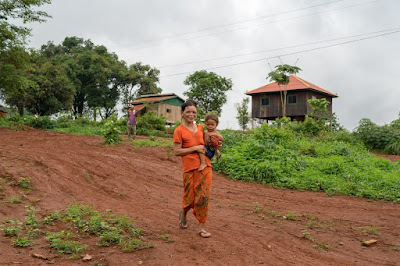 She lives in Kak commune, in the Borkeo district of Ratanakiri. Rachana’s community is composed of elevated wooden houses, built on stilts. Rachana’s father runs a small convenience store out of their home. Rachana routinely helps her family with chores around the house and with her father’s business. In fact, Rachana will read just about any book she can get her hands on when attending NGO Sipar’s mobile library sessions, though she especially enjoys books with snakes or fairytales involving a princess. Rachana’s parents love to hear her read to them in the evenings after they have finished work. Rachana wants to become a teacher when she grows up so that she can teach others in her village the joy of learning. She takes her studies very seriously and attends school daily. Her favourite subject is mathematics. 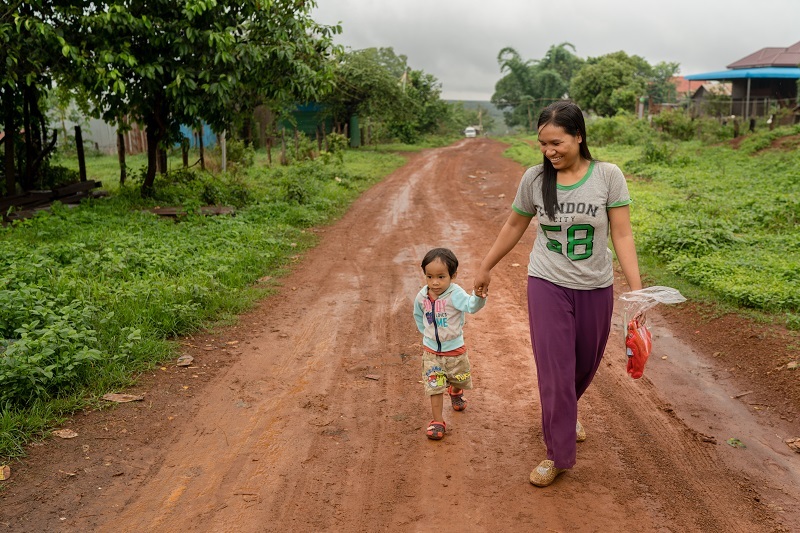 Two-year-old Yin Ratana and his mother Leav Channy, a rice farmer, are on their way to a health and nutrition data collection site in the Yeak Lom commune in the province of Ratanakiri. It is the monsoon season in Cambodia, and every day brings the threat of a torrential downpour. Like many of their neighbours, two-year-old Yin and his mother brave the elements to attend the data collection site, filled with eager and hopeful parents and their children. Families in Yeak Lom are taking part in a UNICEF supported “longitudinal study” conducted by RACHA (Reproductive and Child Health Alliance) looking into the health and nutritional status of pregnant women, newborns, and young children in Ratanakiri, Kratie, and Phnom Penh. Three-year-old Sarika is from the Lung Kung commune in Ratanakiri. 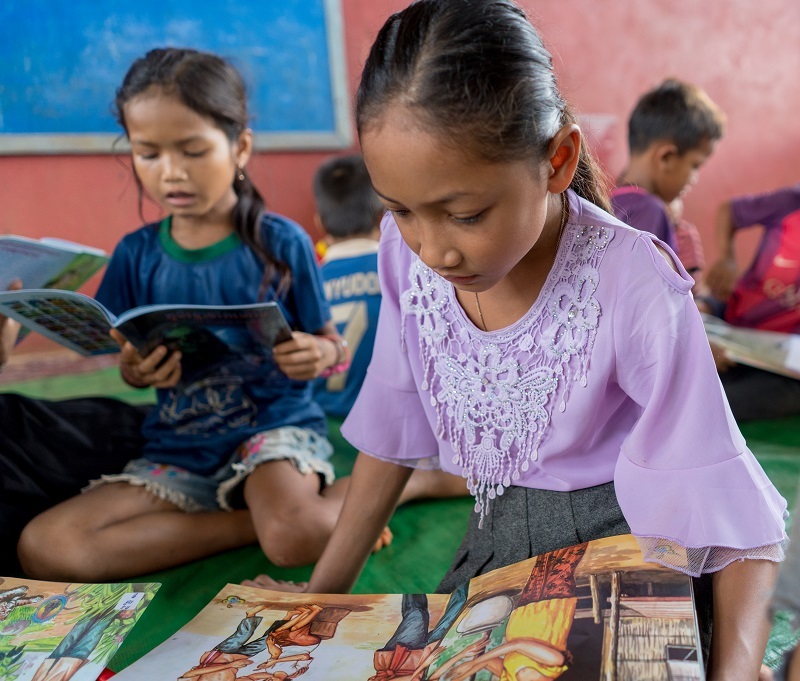 Sarika is from an ethnic minority group called Tampun, who speak an indigenous language which is different from Khmer—the language predominantly used in Cambodia. Sarika was three months old when researchers from the longitudinal study came to her village. They quickly realized that she had a severe abscess on her left forearm arm that she couldn’t stop scratching. After interviewing her mother, Ros Maspan, they discovered that it had been there since her birth, but it was getting worse by the day. The more she scratched, the more infected it became—she was also in visible distress and continuously crying. Sarika had never been to a hospital before because her mother had no money to spend on treatment. This is a common concern among individuals in rural communities where the residents often lack monetary resources or knowledge about Government supported programmes which can assist them. Using UNICEF’s knowledge and partnership with local authorities, the researchers from the longitudinal study were able to get the appropriate government documents for Sarika so that her abscess could be treated. Bajamson is 12 years old and studies in the fifth grade. 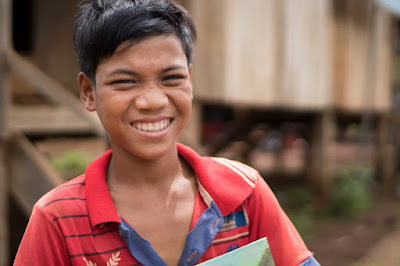 He lives in Kak commune in the Borkeo District of Ratanakiri. Today he joins more than 50 children, aged 8-17, in viewing a UNICEF produced TV series called Prai Krala. There have been 4 episodes produced so far, with 10 more under development, which are meant to teach children—in a fun and engaging way—about issues related to health, nutrition, WASH (water, sanitation, and hygiene), and more. 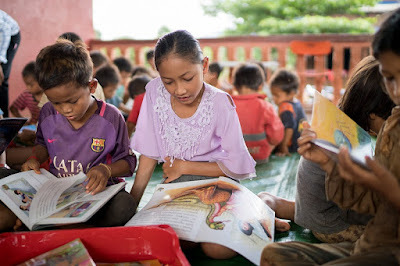 When the episode is over, the facilitators from NGO Sipar invite the children to come to the front of the room and answer questions about what they learned. Bajamson was one of the first to volunteer. He explained that initially, he was very nervous to go to the front and answer questions. But after he did it, he was happy he had the opportunity to speak in front of the other children because it gave him a lot of confidence. He thought the video was very funny; it was also helpful since it taught him “how to be healthy by drinking clean water” as well as learning about muscles and bones. Bajamson’s favourite subject in school is Khmer literature, and he hopes to write books in this genre when he grows up.